To get in the celebratory mood before you arrive in the capital, visit the British Film Institute’s YouTube channel for a look at their British wedding film collection, made up of a mix of home movies and royal nuptials. Get the chocolate and the tissues ready! Once in London, time to check-in. You’ll be spoilt for choice with hotels going the extra mile to make sure you have a royally good time! Located in the heart of Covent Garden, five star boutique hotel One Aldwych is sure to get you in the mood for marriage with its Royal Wedding Celebration Package available every weekend throughout the month of May. As well as a full English breakfast, complimentary use of the Health Club (including the 18 metre swimming pool) and fresh fruit and flowers delivered every day, guests will be able to sample the bespoke Royal Cup cocktail, which will be on offer throughout the remainder of 2018. For a city break with a difference, head to one of the two Zetter Townhouse properties, in Clerkenwell (13 bedrooms) or Marylebone (24 bedrooms), and experience their celebration package, comprising of a Royale cocktail on arrival, a full English breakfast and a special Royal Wedding afternoon tea. And you’ll even get to take home your very own copy of Debrett’s handbook, the complete guide to British etiquette – a must have for any royal guest. Those looking for a special treat can pick one of Café Royal’s two luxury Royal Wedding Packages. The Regent Royal Wedding package will allow you a stay in a Regent suite, a luxury limousine trip to Windsor Castle (complete with a fine picnic hamper), a tour of the Royal Warrant Holders and a VIP shopping service for Liberty and Burberry. Want more? 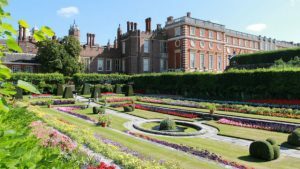 The Empire Royal Wedding package will include all of the above, as well a helicopter tour of London, tickets to the Royal County of Berkshire Polo Club, and a room upgrade with a stay in the Empire Suite. Now that the bags are dropped, you might be feeling a bit peckish. Why not get a taste of British traditions with an afternoon tea? The Berkeley , one of London’s most iconic hotels, will be hosting Royal Wedding Collection Pret-a-Portea masterclasses, the perfect opportunity to join the age-old British debate: jam or clotted cream first? The 1840 Afternoon Tea, available at St. James’s Hotel and Club, goes back all the way to the roots of the afternoon tea phenomenon and features culinary highlights of the Victorian era such as Tipsy Cake soaked in sherry and served with custard, lemon drizzle cake and custard tart. After finger sandwiches and scones, it’s time to head out and experience some special royal and Harry and Meghan inspired activities! Those looking to learn more about what the young royal life is really like will no doubt want to join Traditional Tour UK’s Prince Harry Tour of London. This two-hour walk will explore Harry’s London, from his rebellious youth to his successful military career, and everything in between. Hidden gem Connaught Village is just a short walk away from busy Oxford street and home to a mix of independent retailers, restaurants and galleries. To celebrate the wedding, the area will be putting red, white and blue bunting up, and will have red, white and blue flower beds around the village, making it the ideal place for a relaxing, regal stroll. Want to toast to the newlyweds? Why not take to the Thames? Join a Thames Rockets speedboat for their Ultimate London Adventure between 17 and 20 May and celebrate Harry and Meghan’s wedding with Union Jack flags and a glass of Pimms, the British way. Finally, before heading back to your hotel, and to round up your royal knowledge, explore the life of Queen Elizabeth I through letters, diary entries, poetry and plays written by the monarch herself in a Royal Ballet production which will launch at the Barbican Theatre on 19th May.